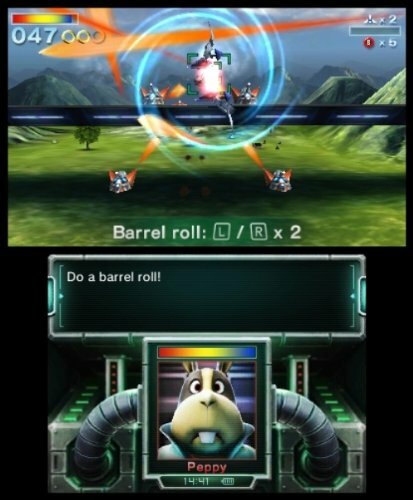 Star Fox 64, or Lylat Wars as it was known in Europe, is celebrated as much for being a key Nintendo 64 release as it is for providing some of the most iconic lines in gaming history (“Do a barrel roll!”). Having sought to remake the classic for a new, and old, audience on Nintendo 3DS, does it still hold the same magic or should Nintendo have left it in the past? The Lylat system once fell to the might of maniacal scientist Andross, who, through the efforts of General Pepper and the Cornerian army, was eventually repelled and exiled to the distant planet of Venom. Five years later, having noticed strange activity upon the Venom’s surface, the General dispatches the Star Fox team to investigate, comprising of James McCloud, Pigma Dengar and Peppy Hare. Upon arrival Pigma betrays his team, causing James and Peppy to fall into the captive hands of Andross himself. Peppy, barely escapes to return back to Corneria to tell James’ son Fox of his father’s fate. As more years pass, Andross amasses an army and once again invades the Lylat system, however, this time a newly formed Star Fox team led by Fox McCloud is ready to face him…! Behind the facade of colourful landscapes and animal-based characters lies a space opera like any other, although the premise remains largely simple – son seeks to destroy maniac to atone for father’s fate, saving the galaxy in the process. Of course, Fox’s moral compass isn’t quite as shallow as this, but don’t expect much depth to the storyline. 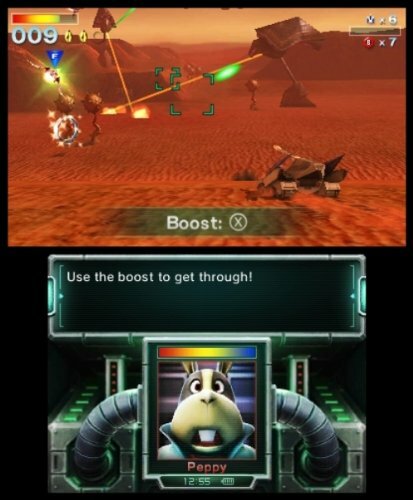 Within this remake, players are able to opt to tackle the campaign in either Nintendo 64 mode, which “recreates the original challenge of Star Fox 64”, or Nintendo 3DS mode that is “balanced to complement the new gyro controls and the Circle Pad”. Whichever your preference, you’ll begin at the Corneria system and gradually make your way across a multi-path galaxy – your route dependant on actions specific to individual levels. Much of the game is predominantly an on-rail shooter, forcing the player along a fixed path whilst providing the necessary controls to speed up or slow down your vehicle – mainly the Arwing, but also the Landmaster in places – as well as being able to maneuver around the screen to avoid oncoming obstacles and enemies. Such sections are then sporadically broken up by open area environments, where the player is offered complete freedom to move around the designated area and granted the ability to use aerial maneuvers such as somersaults and U-turns to allow you to navigate more speedily. These occurrences are normally during boss fights, but there are also defense missions added to the mix. Having completed the campaign, which can admittedly take no longer than a few hours for experience players, you’ll be eager to look for more content to sink your teeth into. Thankfully, this is provided. ‘Score Attack’ sees players battle their way through each mission of the game, and, as its name suggests, aim to achieve the highest score possible. This is accompanied by ‘Battle’ mode, which allows you to challenge either three CPU opponents or three friends via Download Play. Multiplayer modes available to you include Survival, where you fight to be the last player alive; Point Battle, where you must accumulate the greatest quantity of points by eliminating your rivals; and Time Battle, where you must score the most points within the given time limit. However, it is a shame that Nintendo didn’t ensure that such modes would be available to play through Nintendo Wi-Fi Connection. Nintendo has also incorporated gyroscopic controls into the game, quickly emerging as a trend amongst their first-party releases for the handheld with both Super Mario 3D Land and Mario Kart 7 set to also support the tech. Here, it allows you to steer your Arwing purely by moving your Nintendo 3DS around, and it works well for the most part. The younger audience especially will enjoy the novelty, yet the more experience crowd will lament the lack of precision granted by the Circle Pad. 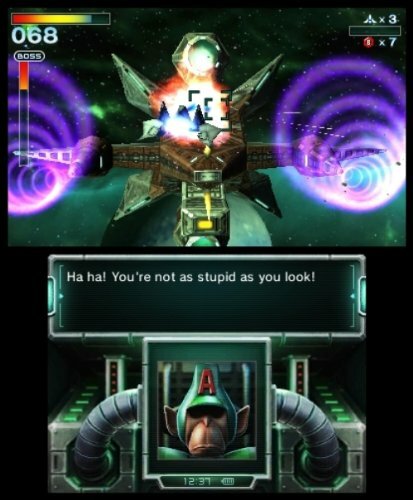 Graphically, Star Fox 64 3D is a spectacle. With the addition of the 3D effect, the game becomes far more engaging than ever before. Lava spews towards the screen, enemies soar overhead and the added visual depth that this provides allows Nintendo to breath new life into a game that you’ll soon forget is fourteen years old. In a similar vein to that achieved by The Legend of Zelda: Ocarina of Time 3D, Nintendo has taken a highly regarded classic and successfully redefined it for an entirely new generation. For newcomers and seasoned fans alike, Star Fox 64 3D is a noteworthy boost to the Nintendo 3DS software library and remains to be every bit as enjoyable as its original counterpart.